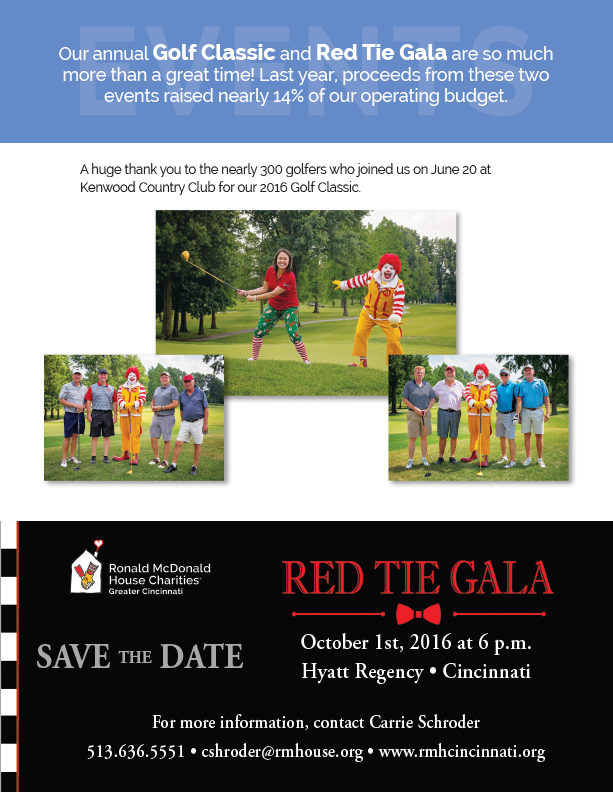 Ronald McDonald House Cincinnati: Newsletter Update | Klocke Design Inc. Families from throughout Ohio, across the United States, and from around the world come to Cincinnati Children’s Hospital Medical Center seeking life-saving treatment for their critically ill children. 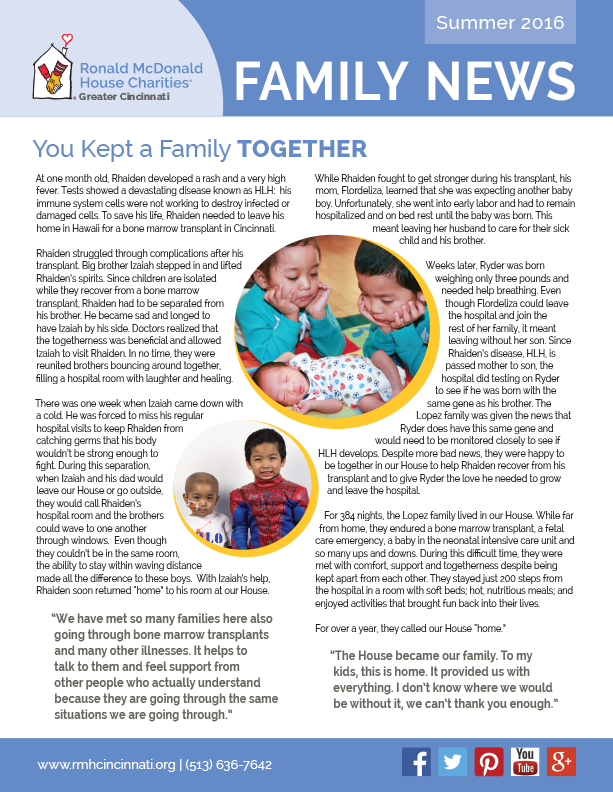 Ronald McDonald House in Cincinnati (RMHC) cares for 78 guest families every night, providing them with a “home away from home” while their children receive medical treatment, surrounding them with love and support from volunteers, staff and other guest families who share the same hopes and fears. 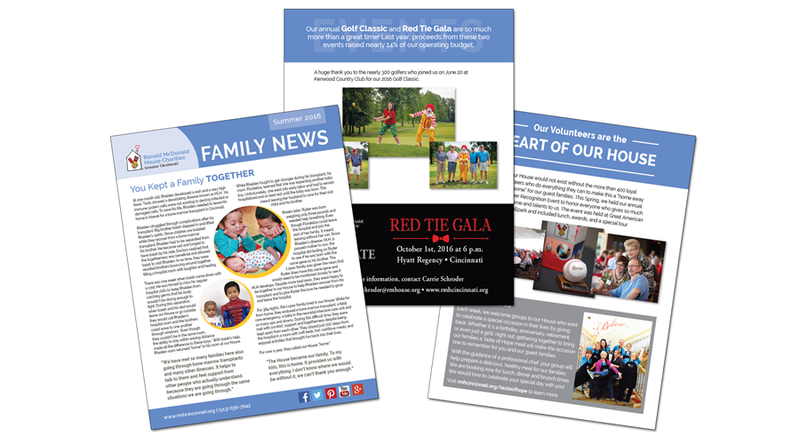 RMHC publishes a semi-annual newsletter sharing stories about guest families, news about past and upcoming events, and information about outreach efforts. 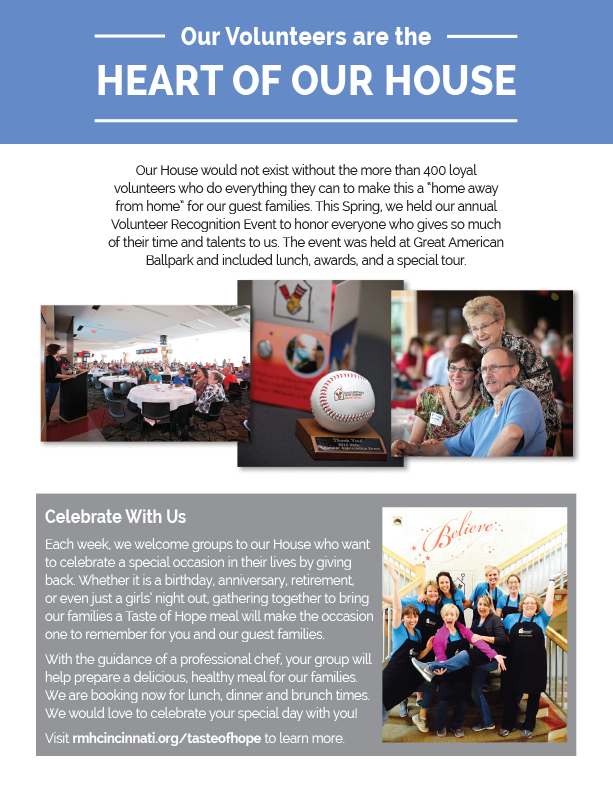 This past year, global Ronald McDonald House released a new brand standards guide. The Summer, 2016 issue was the first opportunity to implement the new standards. These standards provide an excellent framework to hold all Ronald McDonald Houses to a high level of design, while still allowing a bit of flexibility. My challenge was to remain true to the standards, while still retaining what makes RMHC special.